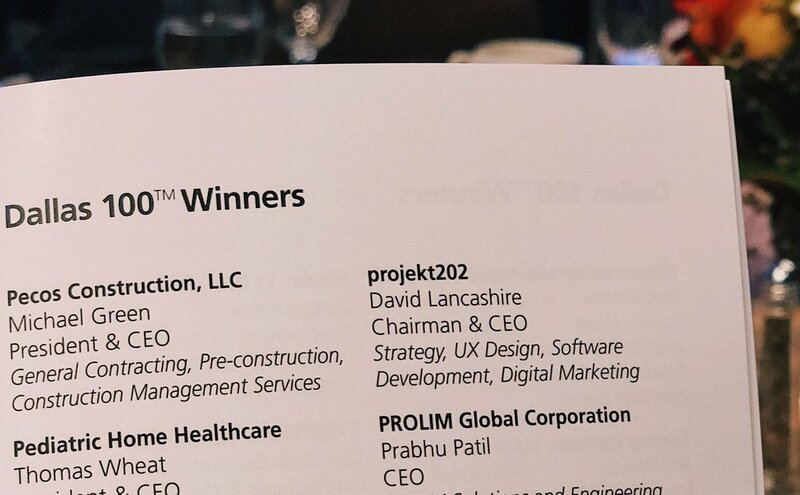 projekt202 was celebrated this week at the 2017 Dallas 100 awards gala, recognizing the fastest-growing privately-held companies in Dallas-Fort Worth. At #77 on the list, this marks projekt202's sixth consecutive year in the Dallas 100. Rankings for the 2017 Dallas 100 were revealed at the Nov. 16 awards ceremony at the Omni Dallas Hotel. 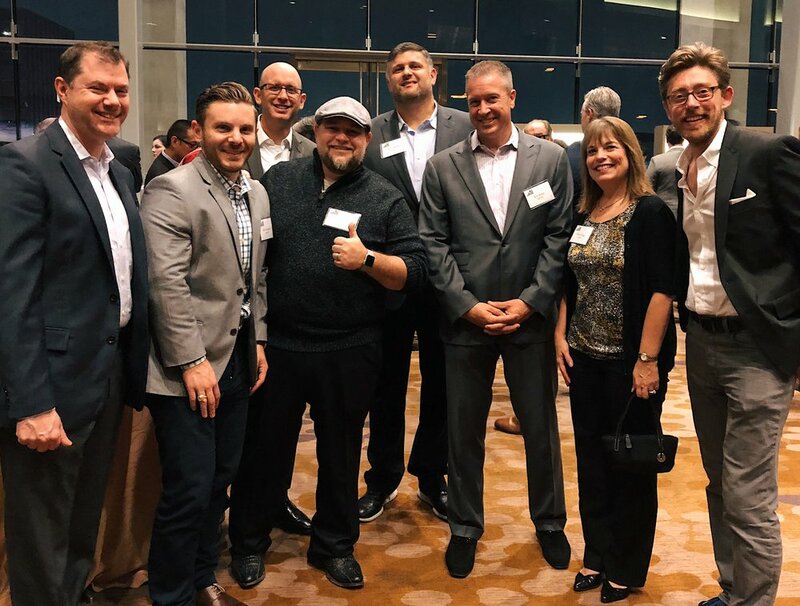 Joe Dyer, Matt Scamardo, Russ Bair, Kevin Fisher, Dave Jimenez, Ken Kritz, Karen King and Jeremy Johnson represent projekt202 at the 2017 Dallas 100 awards. Older PostDoes Your Software Deliver Better Digital Experiences That Customers Love?